All of Corvette's exterior colors are offered on the Grand Sport and an available Heritage package adds iconic front fender hash marks offered in four colors, as well as two-tone seats with Grand Sport embroidery. The Grand Sport can be ordered with 1LT, 2LT, 3LT and 4LT trim packages. The Grand Sport option replaces the Z51 option for the base Coupe and Convertible. The 1.5 millionth Corvette, built on May 28,2009 (as a 2010 model) is a white convertible 3LT with red interior and black top (similar to the first, 500,000th and 1 millionth Corvettes built in 1953, 1977 and 1992 respectively). The first Corvette rolled off the assembly line on June 30, 1953. General Motors has built a one-off Corvette ZR1 “Hero Edition” to honor the Kids Wish Network “Hero of the Month”. The award is to honor a child that has faced and overcome traumatic and life changing circumstances with courage and spirit. The Chevrolet Corvette ZR1 Hero Edition will be raffled off at the end of the year in the Win The Vette’s Corvette Dream Giveaway, along with a Black/Red 1967 Corvette 427/390 hp roadster. 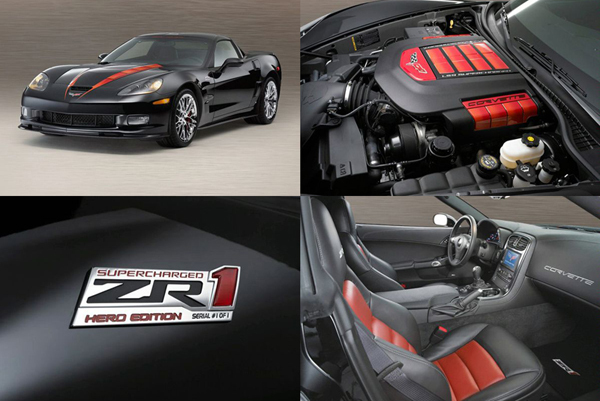 The Corvette ZR1 Hero Edition comes in red accents, special graphics and additional carbon fiber components. The ZR1 Hero Edition is powered by a supercharged 638 hp LS9 V8 engine that can be seen through the hood’s polycarbonate window. The ZR1 also comes with one-of-a-kind emblems and embroidery and Corvette Team Members signature such as from Ray Krawczyk, Harlan Charles and Tadge Juechter on the hood. 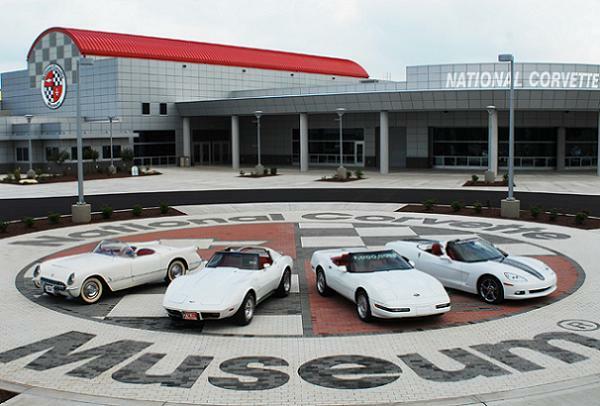 The National Corvette Museum celebrated its 15th anniversary in style by raffling off a one of a kind Corvette Grand Sport. The Artic White Vette has a unique yet tasteful black hood treatment with Corvette Racing's Jack mascot painted at the center bulge with a red stripe outline. The NCM has also placed its own seal of approval on the Grand Sport by adding its logo to the car's B-pillar. The Corvette Grand Sport being raffled off also has a six speed manual transmission, dual mode exhaust and a ZR1-sourced rear spoiler.